The digital thermometer shows 32 degrees on the back porch this morning. Much different than the 70s we had yesterday; there will be no shorts and T-shirt worn today. Growing up, the only heat in our house was a gas heater with grates that would glow red from the heat. It would get so cold in January that a sheet or bedspread was placed over the entrance going to the rest of the house to keep one room warm. The only insulation in the attic, floor and walls was spider webs if any. It was so cold it took five minutes for the old Dumont television to warm up… Actually they took that long anyway. That was a time when war was a card game. Spinning around, getting dizzy and falling was a time for laughter. One placed baseball cards with clothes pins or tied a balloon on the fender supports to make your bike sound similar to glass packs. Ladies hose had a seam going up the back and came in two. A kid that failed at school was held back a year. Trust me on that from experience. You got a wash rag or a towel in a box of washing powder. Getting sent to the office at school didnt hold a candle to what would happen when you got home. Popular horses at the time were Trigger, Buttermilk, Champion, Goldie, Topper, Buck and Duke. Who was Goldie you ask? Arthur Godfreys. Topper belonged to Hopalong Cassidy. Buck belonged to Marshall Dillon. Last but not least, Duke belonged to John Duke Wayne. Cafes had a music selector at each table. Area codes were unheard of much less a zip code. A quarter would get you in the picture show, buy a bag of popcorn, drink and a candy bar. Milk was delivered to houses with paper stoppers. Grocery stores had home delivery and drink bottle pick up too. Salt pork was considered a staple in the house. Double Bubble or was it Double Up bottle drink? As well as Double Cola were on the grocery store shelves. Canola oil was unheard of as lard was used to fry foods. The main course at our house on the hill was cornbread, peas, corn, sliced tomatoes and onion with fried fat back. Out in the country was 14 miles out and across the Chattahoochee River. They milked a cow, churned the milk and had real butter. When a storm came up, one unplugged the television and disconnected the television antenna. WCKY in Cincinnati as well as WLS in Chicago were picked up as radio stations. Wearing white socks was cool and crew cuts were popular after duck tails. Banks made hundred dollar loans and downtown closed every Wednesday afternoon. Furniture companies had salesmen on a debt route to collect each week for furniture payments. One could get their windshield washed, oil check and tires checked at a gas station for free. Sweet gum tree branches made excellent tooth brushes for those that dipped snuff. One could drink out of a stream without fear of polluted water. Nobody locked their doors and the keys were left in the car. Department stores were called five and dime. So much for what was once was. Cherished memories are as much to me as heaven as anything this old boy can comprehend. The crowd listened intently, as mother and former CISD teacher Lisa Worthen described the years of growing up and developing that her son had experienced. He had his first concert at age 4, she explained, at the Crosby Baptist Church where they are still members. Since then he has had many musical performances with various groups, and has been touring with the Continentals around the U.S. He also is currently a third year music student at Houston Baptist University in Houston. J. J. performed on the piano for the audience at the chamber luncheon, and sang a duet with his mother. He also told of the last few weeks, when he competed for the top spot on the TV show, and finally won a car and a local recording contract for a CD. Critters! Seems like all my life I have heard people say, “Everything that hisses, snaps, bites or stings, lives in Texas!” That probably originated with former GI’s stationed in the hinder lands of the Lone Star State. A few days back three of the Sea Palms Drive neighbors had a discussion about “Texas critters.” From the bantering back and forth I learned there are a few “Texas critters” in local backyards. I experienced some of them after Dave moved to Crosby, while assisting in his cleaning the lot next to his house. I tangled with some (or maybe a lot of) fire ants. I lost! During our discussion, armadillos were mentioned. I had only seen one of them since visiting here the past four winters. I was informed they are rather plentiful and sometimes a nuisance. Funny how things happened but the next morning what do Maggie (our family pet) and I find during our early morning walk? An armadillo! That is my second sighting of these animals that were not in captivity. During our “neighbors” discussion the subject got around to snakes which are not on my list of “likes.” One of them had sighted, and killed, a coral snake in his garage recently. I felt shivers. Others have been sighted here over the years I was told. It seems that water-moccasins frequent the area as well. More shivers! No rat’lers here I was told. Less shivers. My first close encounter with a snake occurred on my grandparents farm when, at about age eight, I went blackberry pickin’ with grandma. I reached for a vine to pull it down and suddenly realized the vine moved and my hand held a black snake. I went in one direction and he (maybe a she, I didn’t ask) went in the other. There are a lot of blacksnakes in West Virginia and I see them on occasion on our property overlooking Coal River. Some are five feet plus. They are no problem, but I still keep my distance. Others around our house include green, garter or water snakes. Rattlers are mostly in the higher hills. Our greatest nemesis in the snake world is the copperhead (shivers) which is deadly to household animals and occasionally humans. They just lay and wait. I don’t worry about them around home since we have blacksnakes and they don’t usually live in the same neighborhoods. Apparently the blacksnakes will take them on and usually win! The critters back home are different than those in Texas but I must say when it comes to those that hiss, snap, bite or sting you have us beaten. Such are the people, places, and things that have touched my life from my West Virginia home! 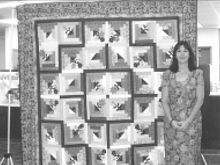 Alicia Barker won the Crosby Quilt Guild’s donation quilt at a recent meeting at Crosby Brethren Church. Barker’s name was chosen during an event that raised over $1,400 and was attended by nearly 50 people. The Guild’s next meeting will be Feb. 14 at 7 p.m. at the church. CROSBY  The Board of the New Property Owners Association of Newport at their meeting Jan. 21 agreed to hear some protest from local residents about revisions made Dec. 20 to the Lake & River Rules Agreement. It was a classic battle between individual freedom to pursue happiness against collective liability with protection of property. Tobin spoke against a total ban of campfires and off road vehicles. He made a motion to establish a new committee to review past and present decision and enlisted the assistance of 18 named volunteers to assist in being a part of the solution of past wrongs committed mostly by 4 Wheelers coming in from outside Newport Community. Tobin presented arguments that the ban was punishing everyone for the acts of a few individuals and pushing kids out of the community possibly to less wholesome activities. His wife, Beryl Tobin, pointed out that one of the attractive aspects of the community was its openness to outdoor activities and recreation. BAYTOWN  Voters will have an opportunity April 2 to make their feelings documented on a proposed $220.5-million bond after Goose Creek ISD trustees called for a vote during a regular Tuesday night meeting. The proposal will be especially crucial for Highlands residents who will have a say on a new junior high in the area, as well as high-priced issues such as a third high school, synthetic turf at Stallworth Stadium, adding a new elementary and a vast number of improvements district-wide. BAYTOWN – T.J. Ford, star of the NBA’s Milwaukee Bucks, who grew up on the playgrounds of Highlands schools returned last week to give back to the community. The T.J. Ford Foundation, in conjunction with LeapFrog School House donated $40,000 worth of of LeapFrog Personal Learning Tools and support equipment to Goose Creek CISD’s Pumphrey and Harlem Elementaries. This past week, Ford was at Harlem with representatives from the school districts to present the grant. The T.J. Ford Foundation made a $20,000 grant to the school which was matched by LeapFrog to purchase the equipment. “The donation will allow teachers at Harlem and Pumphrey Elementary Schools to use PLTs in conjunction with the LeapTrack Assessment & Instruction System to upload data to school networks, conduct real-time formative assessment of each student’s progress. And reading and math, all these things are important in life,” said Ford. “If I had these things (LeapFrog), I would have been further than I am now,” he added. “Growing up, my parents stressed both the importance of education and giving to the community,” said Ford. 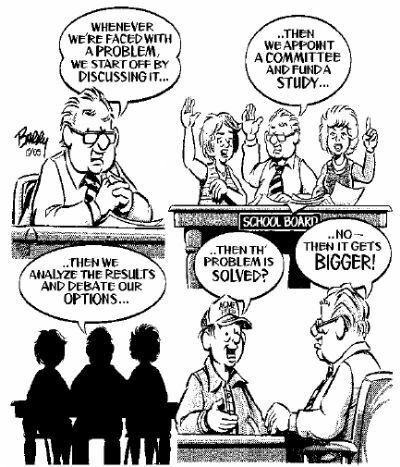 “It’s critical that kids have the tools they need to receive the best education possible. I’m happy that LeapFrog SchoolHouse has teamed with me to help these students achieve success in the classroom. As a child, Ford attended B.P. Hopper Primary, Highlands Elementary and Highlands Junior School. He later transferred to Willowbrook High School and attended the University of Texas before he was taken eighth in the NBA draft by Milwaukee. After the check presentation, Ford stayed to meet with students and sign autographs for his fans. Highlands Volunteer Fire Department held their annual Awards Banquet and Installation last Saturday at the Monument Inn. 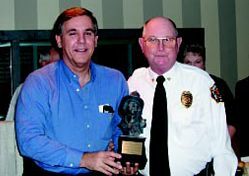 The top award was given to Bobby Birdsong, who by vote of the membership was honored for “performing above and beyond the call of duty” as a volunteer fireman. Birdsong is also the Assistant Chief of the Department. Seen above, Fire Dept. Chaplin Jerry Ickes gives the award plaque to Birdsong, right. Other awards included Citizen of the Year, to Suzanne Bradford, Rookie of the Year to Nicholas Matula, and Business of the Year to Mark and Rhonda Sanford of Reeves Construction. Volunteers from the international humanitarian organization Global Peace Initiative (GPI), based in Huffman, recently sent one wave of relief workers and supplies to tsunami victims and are preparing to send more. Equipped with a refurbished Boeing 747-SP, GPI is recruiting volunteers and money to fly supplies and medical workers directly to the affected areas. The first of what GPI hopes will be many flights is already on the ground with Houstonians on board. According to Paul B. Joseph, GPI’s National Coordinator, GPI is the only non-profit with its own Boeing 747. Joseph said that initially some relief organizations were sending supplies by paying airline companies that could get the supplies only so close. That is why GPI offered the use of their plane for free. The Global Peace One 747-SP can get closer to the affected areas because it has the ability to land on shorter runways than larger cargo or passenger jets. “We have the tool, the Boeing 747, but it costs money to go from the United States to Southeast Asia. Dr. Paul is always saying, We have the airplane. That’s a gift.That’s a blessing. But it does no good on the ground. We want it in the air,'” Joseph said. It costs $200,000 to purchase the 156,000 gallons need per round trip. GPI is now working with aid organizations to fill the plane with supplies and trying to raise funds to cover the fuel costs. The group is fundraising in the local area of its home office as well as around the country. “We know that Houston has always come to the front of being compassionate in critical situations,” Joseph said. GPI would like to see their plane being used for trips every few days with a minimum of 20 flights over ninety days. Flights originate out of Houston’s Hobby Airport loaded with 76,000 pounds of critical material. The next flight will include inflatable boats and 90 specialized relief workers. The18 flotilla boat relief teams can bypass washed out roads and bridges and will help the most remote places that have not been receiving the materials and medical support they need. GPI Houston teams will establish relief camps for subsequent supply shipments of food and medicine. For future flights, GPI is gathering cookware. Their team on the ground in northern Sri Lanka – the first relief team to reach some of the hospitals in the rebel-controlled area  are indicating that food and medicine is being dropped in sufficient quantities. However, all of their pots and pans were washed out to sea in the tsunami, and the need is critical for utensils in which to cook the food. According to GPI, the people are so desperate that many are trying to eat the rice uncooked, which is creating a whole new set of health problems.